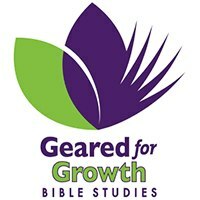 "Having used these studies for 20 years, I can highly recommend them, for new and old believers alike"
"For over 30 years I have found the Geared for Growth Bible study material an immense help, encouraging myself and the people with whom I meet and study, to obtain a clearer grasp of the gospel"
"Geared for Growth Bible Studies are an effective resource that provide a framework around which individuals can strengthen their own faith whilst also, in the context of a small group, encourage and build the faith of others - I highly recommend them to you,"
Inexpensive, straight forward Bible studies which impact lives. These A5 Bible study books have proved to be an ideal format for home study groups and personal devotions. Each study introduces the context, and then gives questions for the group to grow. There are also points for reflection and prayer. To get a balanced overview of Scripture, we recommend that you choose a study from each category in turn. There’s always something interesting to move onto when one study is finished! Also available is a leaflet “How to Lead a Bible Study Group”. This gives practical advice on how to lead a study group and provides helpful hints on how to get the most out of each study.up leader or individual. There are also points for reflection and prayer. You can order through our on-line store where you can pay by Credit Card. Details of how to use our Shop can be found on the Frequently Asked Questions page. If however you wish to pay by cheque upon receipt of the studies, please order your books by sending an email to ordersgearedforgrowth@outlook.com giving full details of the study title(s) and the number(s) required. whether online, by phone, by email, in person, by letter or other correspondence.